Been getting some work done for RetCon 2013. I’ve decided to switch things up this time around and run me some Savage Worlds. I have to say that the switch felt a bit intimidating at first. I’ve played a lot of systems, but I’ve only ever GMed World of Darkness. That said, I think Savage Worlds is going to be a win. Once again I am writing my own modules, because it’s one of my favorite parts of GMing. I love getting all of the pieces into place, and then seeing what the players do with them. I have never had a module run the same way twice, and It’s always interesting to see how players interpret the characters they’ve selected and the evidence in front of them. This year for RetCon I’ve decided to go with a Space Horror story, which admittedly sticks to my horror roots, a pulp adventure story (think Indiana Jones), and for the third I will likely run Super Heroes. Fortunately Savage Worlds has setting books that will accommodate all of the above and I have to say the prices are very reasonable which is fortunate considering as I’ve just moved and have no money left. The Space Horror is the first one I’m working on. I’ve been playing a lot of Mass Effect and Dead Space lately so I imagine the influence will show. I’m envisioning this one to run pretty dark, but I won’t be in any way surprised when the players turn it into a SyFy Original Motion Picture. That’s the way these things happen sometimes (or most times) and I’m pretty used to it by now. 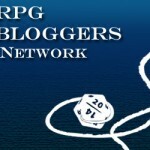 Posted on June 21, 2013, in Convention Gaming, Gaming, RetCon, RPG, Savage Worlds and tagged RetCon, Savage Worlds. Bookmark the permalink. Leave a comment.